I tried the Yes To Coconut Sheet Mask recently and I was curious to what sheet masks were sold in the high street stores. 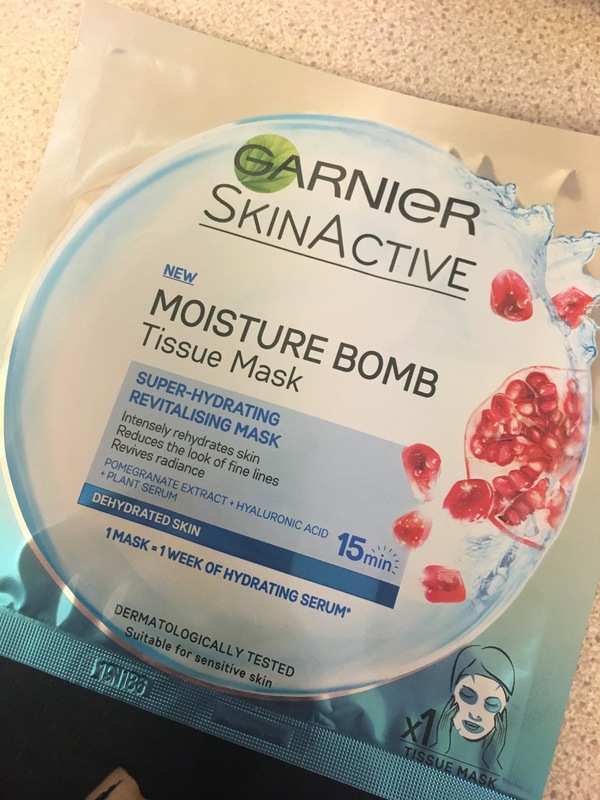 So as I usually do, I headed to Boots and Superdrug to investigate and I come across these Garnier Moisture Bomb Tissue Masks and for only £1.50. I was instantly hooked and couldn’t believe the price and I had high hopes for them. In each mask there is 1 weeks worth of hydrating serum and they aren’t wrong. When I first took it out of the packet I thought that they had over done it with the product a bit. It’s drenched in the serum and it’s super cold when first applied. However, once you get over that bit, that’s when the magic happens. The packet says that it’s a super hydrating revitalising mask that reduces the look of fine lines and revives radiance in the skin. When I first started trying these I was struggling with dry skin and an overload of acne. Nothing was helping at all and anything I used made things worse. 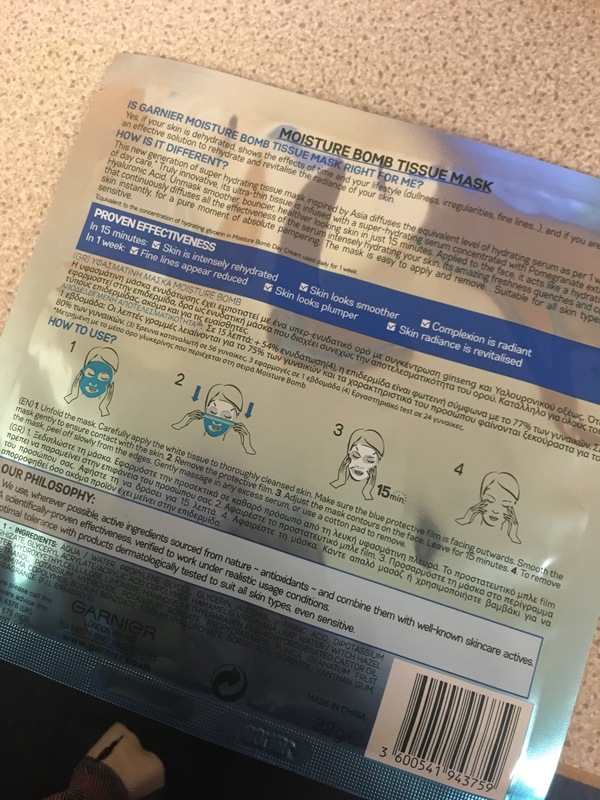 The mask has a blue protective film that you peal off on application and if i’m honest I still don’t quite understand it but I can imagine if it didn’t have it, the mask would be difficult to apply and as it’s so wet it may rip if you aren’t gentle. Perhaps I’ve just solved my own mystery. I used a mask a week for 4 weeks and my skin feels so good for it. Within the first few days I noticed my acne and blemishes reducing and my skin just looked better and more lively. I looked less dead than I had been previously. It was a miracle! A Christmas miracle that I had found the most affordable and ideal sheet mask. I think since my first purchase I’ve gone back and gotten like 20. They’re incredible and so relaxing to use in the bath. Ooh yes, the feels. I recommend them to all! Go and try them, for £1.50 you aren’t really losing much.